Financing isn’t always the best way to go when you’re getting a new car. This even more true in the busy regions of Port Coquitlam, Maple Ridge, Burnaby, Pitt Meadows, and Port Moody, BC. Metro Ford offers low interest rates on both financing and leasing, meaning that the choice is up to you and whether financing or a car lease is the right option for you. We work closely with local lending institutions so that our customers can get excellent rates without having to run around the city to compare prices at different banks. We also have a number of bad credit and low credit car lease options available. Once you know what vehicle you’re interested in, calculating your leasing or financing rate is easy. Drop in to meet with one of our financing professionals in person, or contact us for more information and we’d be happy to help you get in your next vehicle. By leasing, the customer drives their desired vehicle for a period specified in the contract, but returns the vehicle to the dealership once the contract finishes. Ownership of the vehicle remains with the company offering the lease. But if the customer so chooses, they always have the option to purchase the vehicle at the end of the lease agreement. This enables you to pay only for how much you drive the vehicle, instead of paying for the entire value of the vehicle. Lease payments are comparable to long term finance payments and can vary for terms of 24-48 months depending on the customer’s needs. 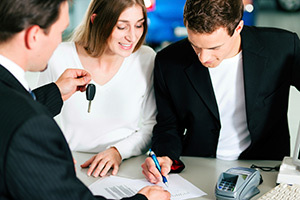 The choice between leasing and auto financing depends on what you plan to use a vehicle for. While ownership has benefits, so does leasing. It makes it easier to upgrade to a new vehicle when your lease is over and you never have to worry about your warranty running out. Leasing vs. Financing: When Does Leasing Come Out Ahead? Unlike a car financing agreement, leases often don’t require a down payment. You only have to pay the first month’s payment, and a possible security deposit. If you are budget conscious but want to get the most for your money, leasing makes payments affordable. As a lessee you are only paying for the value of the vehicle used instead of the full value, so payments are significantly reduced depending on the term you choose. A vehicle that may not fit into your monthly budget on a finance contract may be attainable on a lease. The lease-end value of the vehicle is determined before you sign the lease. If the vehicle is worth less at the end of the contract, the lease company assumes full responsibility. Unlike financing, you will never be “upside down” at the end of your contract. That means your options for a new vehicle remain open. You can upgrade to a newer vehicle more often with a lease. You also save money on vehicle maintenance, something that tends to be most costly in the fourth and fifth years of ownership. 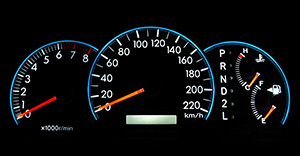 Leasing allows you to completely avoid this costly period of a vehicle’s life. Unlike in purchasing or financing a vehicle where you pay tax on a vehicle’s entire value up-front, leasing allows you to pay the taxes on your monthly payment. 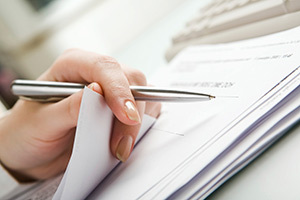 Leasing may also be a better option for small business owners and those who are able to submit vehicle tax deductions. 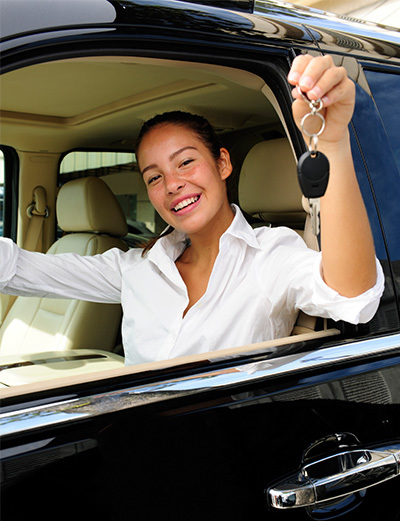 – Return the vehicle and lease another one the suits your current needs. – Purchase the vehicle for the pre-established price. Leasing allows dealerships to cater to everyone. By offering different terms, leasing accommodates a range of situations. Payments vary, so your dream vehicle can fit into your budget. Depending on the amount of driving you do, leases can be based on low kilometers (16,000 kms/year) or high kilometers (25,000 kms/year), making it possible to avoid any penalties at the end of your lease contract.